Goodbye Google Keyword Tool, Hello Keyword Planner! A new tool has recently been added to the Google Ads dashboard called Keyword Planner, and it has replaced The Keyword Tool. This is… mostly good news. Keyword Planner has similar but expanded features and a more unified interface. However, it has also lost some features. This is much more streamlined than the Tool interface, and it is both easier and faster to navigate to where you want to go. Just pick one of the three options and start searching. This feature is useful. 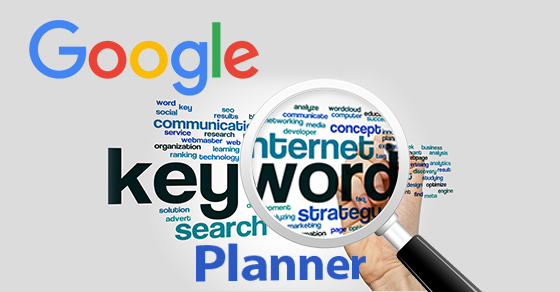 However, it pales in comparison to the most talked-about feature of Keyword Planner- the ability to search within very limited geographic regions. For tons of companies, Keyword Tool’s “country select” geographic filter was almost useless. Who cares how many searches you get in the United States if your store only has locations in Mexico? Keyword Planner’s new search options allow you to filter by specific city, or, in some cases, by specific boroughs and former municipalities within cities. Keyword Planner also can filter by locations nearby major cities, an invaluable tool if your customers drive in from rural areas. You have to be careful here, because targeting is not a cumulative filter. For example, if you target Toronto but also Canada, you won’t get the data from Toronto filtered (redundantly) by location in Canada, you will get the data from Toronto and the data from Canada all jumbled together. Which defeats the purpose. Make sure that all your targeting options are the specific areas that you want to target. Also, keep in mind that this data is using the exact city boundaries as defined in Google Maps. Before targeting a specific city, check out its boundaries first to make sure that Google defines the city in the same way that you do. Probably the most negative change from Keyword Tool is that there is no longer an option to target by device. As the world becomes more mobile-friendly and websites and ads increasingly work the same on mobile as on desktop, I realize that this feature is less necessary. However, it still gives a little less control to users over the kind of data they receive, which is never a good thing. Still, Planner is a giant step in the right direction. On the whole, it leads to better data. Better data leads to better strategy, better ads, and better outcomes for both advertisers and customers. well, for some is good news other are taking it the other way around..